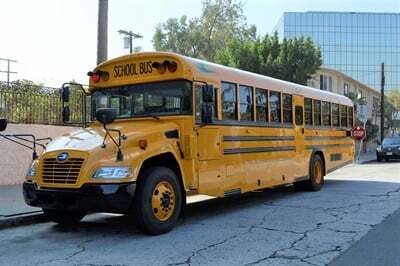 Roush CleanTech's California Road Show included educational sessions and a ride-and-drive of a Blue Bird Vision propane school bus (shown here), among other propane-powered vehicles. 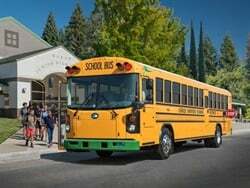 LOS ANGELES — Roush CleanTech showcased its propane autogas vehicles, including a school bus, at an event here on Thursday. The Los Angeles stop of the three-day California Road Show took place at the Beverly Hills Marriott Hotel. 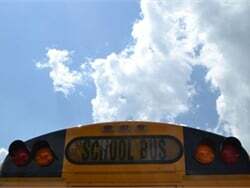 The agenda included educational sessions and a ride-and-drive of a Blue Bird Vision propane school bus, among other propane-powered vehicles. The event kicked off with a keynote address by Joseph Lyou, the president and CEO of the Coalition for Clean Air. 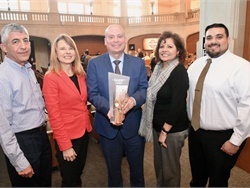 Lyou discussed the level of air quality in California and possible solutions to decrease the state’s amount of nitrogen oxide (NOx) emissions. 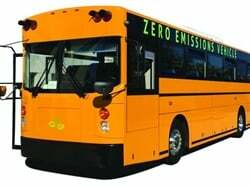 Noting that heavy-duty diesel vehicles are one of the top sources of NOx emissions, Lyou said that to maintain a breathable quality of air by 2023, the Los Angeles area needs to reduce its emissions by 45%. 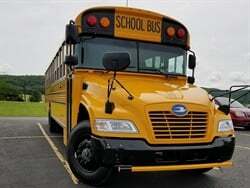 He also said that the state should review its heavy-duty vehicle emissions standards under the Clean Air Act. In one of the sessions, Chelsea Jenkins, executive director of government affairs for Roush CleanTech, discussed the company’s efforts to reduce NOx emissions with its new 0.02 low NOx propane engine. 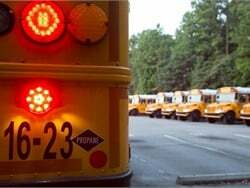 To illustrate the shift in emissions with propane engines, Jenkins referenced a 2018 West Virginia University study that compared the amount of NOx emitted from a 2014 model-year Blue Bird diesel school bus to a 2015 model-year Blue Bird Vision propane school bus. 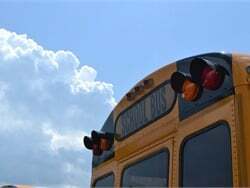 According to the study, the NOx emissions emitted from the propane school bus was 96% less than the comparable diesel model, making it more efficient than what previous tests had found. In another session, Ed Dumire, sales director for Roush CleanTech West, noted the key differences in manufacturing Roush CleanTech’s low NOx propane engine versus comparable diesel engines. 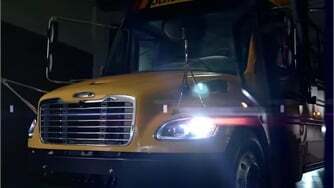 Special fuel injectors, Dumire said, are also used to inject the liquid propane into the cylinders for ignition, while the fuel fill is designed with a check valve to prevent fuel leaks. Joe Rudolph, director of business development for Roush CleanTech, highlighted in another session the more than 3,000 propane fueling stations available across the U.S., and the value of creating private infrastructure fueling stations, particularly for school bus fleets. 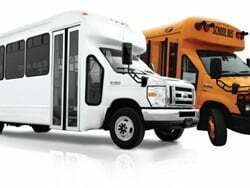 While the adoption of private fueling stations may be costly, Patrick Couch of Western Autogas Association informed attendees of the long-term cost advantages of propane, listing the average cost of propane at about $1.00 per gallon versus diesel at $2.50 per gallon. Before attendees headed out for the ride-and-drive, Jenkins provided them with a list of available funding opportunities. 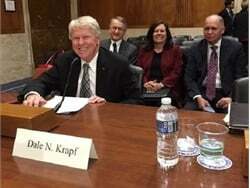 Jenkins encouraged attendees to apply early for Volkswagen (VW) settlement money, and put in three purchasing cycles within a two-year period to maximize their opportunities for funding. 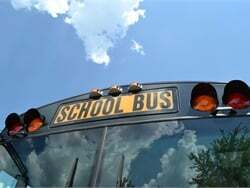 Jenkins also pointed to the School Bus Rebate Program, in which applicants can be eligible for up to $20,000 per low NOx propane school bus they purchase, and receive funding to replace model year 2006 and older diesel school buses.